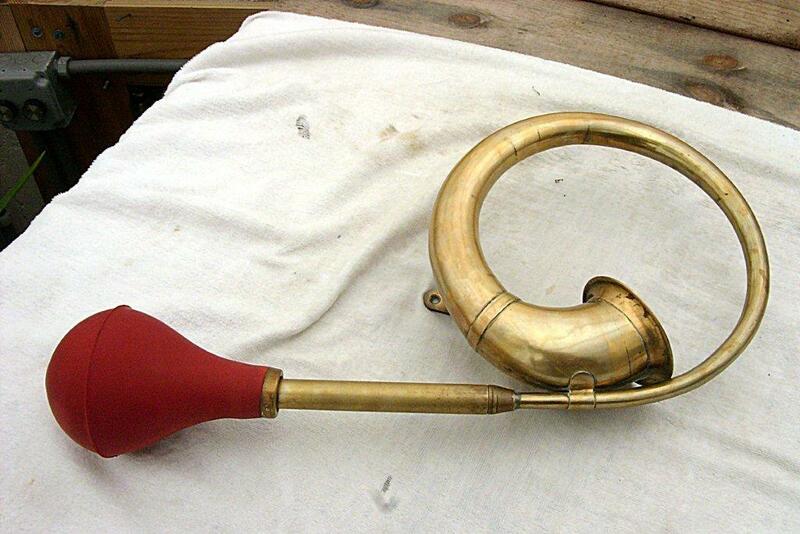 Carlisle needed a bulb for Ye Olde Squeezehorn. We don’t actually carry bulbs separately, but I had a couple from horns that were damaged in shipping, and was happy to help him out. Thanks for the photo CK! I need a new bulb for a 12″ Brass Large Loop I’ve had for years. Any idea where I can get one? I have some extra bulbs on order though I’m not sure when they’ll be in (hopefully next few weeks). My bulbs match a 5/8″ pipe. If that’s a match, drop me an email john[at]squeezehorns[dot]com and I’ll let you know when they arrive.